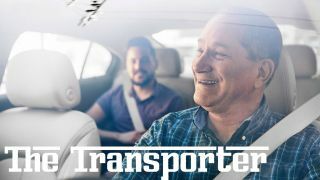 In the United States there are around 3.5 million truck drivers, and when you combine that with all the cab and ride-sharing employees, that number creeps closer to 4 million, which is just over 1% of the country’s population. Meanwhile in the UK there are 600,000 truck drivers, over 200,000 cab drivers, and we haven’t even gotten into more niche forms of transport. Every single one of these jobs is under threat as driverless cars rapidly turn from utopian dream into everyday reality. The resulting unemployment will push society to its limits if we’re not wary of what’s to come. This isn’t the first time we’ve seen autonomous vehicles. Around the world, numerous transport systems run without the need for a driver, including Paris’s Métro Line 1 and the Las Vegas Monorail. Some of these are massive in their own right, but they’re a drop in the ocean compared to the total amount of vehicles on the world’s roads. Nor is this the first time that machines have taken human jobs. Since the beginning of the industrial revolution, machines have made it possible to do jobs with fewer and fewer people. In agriculture for instance, tractors allow a single person to replace a team of people tilling a farm’s soil. Meanwhile weaving machinery put thousands of textiles workers out of work, in doing so giving rise to an entire movement dedicated to opposing the introduction of the machines, the ‘Luddites’. Look around today and you’d be forgiven for missing the thousands of farm workers put out of work by farming machinery, or weavers made unemployed by looms. So what happened? What happened was that the money got spent elsewhere. Jobs disappeared, but the money previously paid as wages didn’t. A factory that’s now able to produce ten worker’s worth of textiles with just one now has the equivalent of nine worker’s worth of salary to spend on whatever it wants. Entire industries emerged as a result. We now have jobs that we could have never previously dreamed of, PR directors, social media managers, recruitment specialists and brand consultants, all paid for using money that was previously needed for the basics. So where’s the issue? In theory at least, all those professional drivers, all the cabbies, truckers, and bus drivers, should be able to find a new generation of jobs. If only it were that simple. People can’t just change careers at the drop of a hat, they’ve often been training for years to be allowed to drive professionally, and have spent every day since growing steadily more experienced. Driving a ten ton truck is no mean feat, and in a driverless future this highly specialised skill risks becoming essentially useless. Sure, in the longer term the problem should disappear. People will no longer even consider driving for a living, and will turn instead towards the new jobs created by a society that no longer has to pay for cabbies or truckers. But – and this is what will be society’s biggest challenge – our schools and universities will need to seriously up their game if they want to prepare a generation of people for a world where all the jobs that can be automated, have been automated. Today, if a school fails a child, there are numerous jobs they can go into without any formal qualifications. These jobs, many of which include driving, require an enormous amount of skill, but, for the most part, it’s not academic. You need to be a skilled driver to be a cab driver, not an A-level mathematician. But in the future, if a school fails a pupil, there’ll be fewer ‘unskilled’ jobs for them to go into, because machines will have them covered. This safety net of jobs that don’t require degrees or A-levels will disappear, and schools have a massive job on their hands if they want to make sure that people can survive without them. In fact, driverless cars might end up being the biggest challenge the world’s schools have ever faced. In the future, failing a child will simply not be an option, because leaving school without a decent set of formal qualifications will be a death sentence in an automated world. If there’s one thing capitalism is great at, it’s creating new jobs to replace those that have disappeared over the years. Today, nobody mourns the loss of the world’s lamplighters after the world’s streetlamps were replaced with automated electric versions, nor do we pour one out for our ex-switchboard operators. But if the world’s schools can’t prepare future generations for driverless cars, then it might be a different matter for cab drivers and truckers. Jon Porter is TechRadar’s driverless and electric car obsessive. Every week his column, The Transporter, discusses the biggest developments in the area, and its implications for the future of transport.